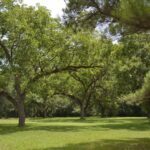 Montgomery County – 116 +/- acres – Price Reduced! 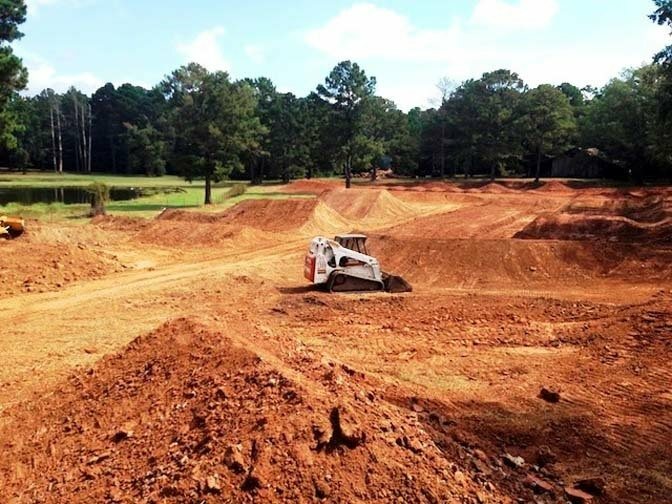 LAND USE: Recreation, Investment, Hunting/ Fishing, Retreat, Business Site, Destination, Extreme Sports Venue or whatever you can imagine it to be. 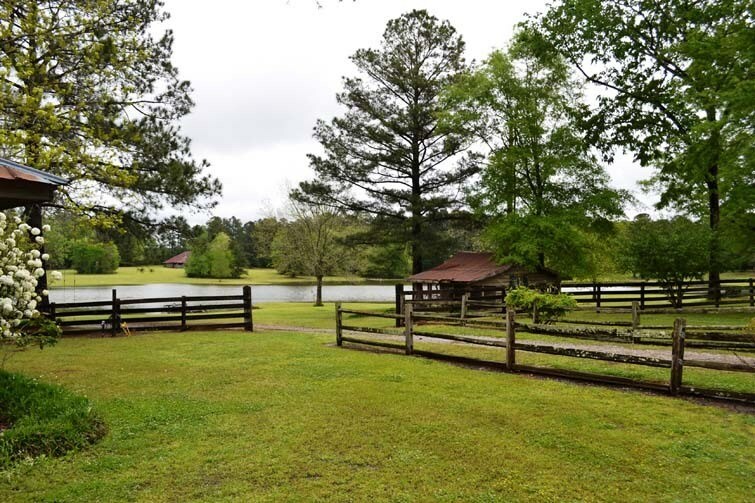 This one of a kind property is 116 acres of beautiful manicured grounds, rolling pastures and mature timber with a fantastic stocked lake. The property is the original birthplace of local legend Chappell Gray. 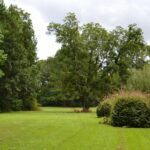 Mr. Gray was born a pauper in the 1920’s only to become one of the largest landholders in Montgomery County before dying without a will. Over the years there has been several owners each adding their own personal signature to the property. One such owner enjoyed refurbishing many of the original structures using timber and materials from the Chappell Gray homestead to create a whimsical yet historic setting. A subsequent owner enjoyed improving upon the manicured grounds. 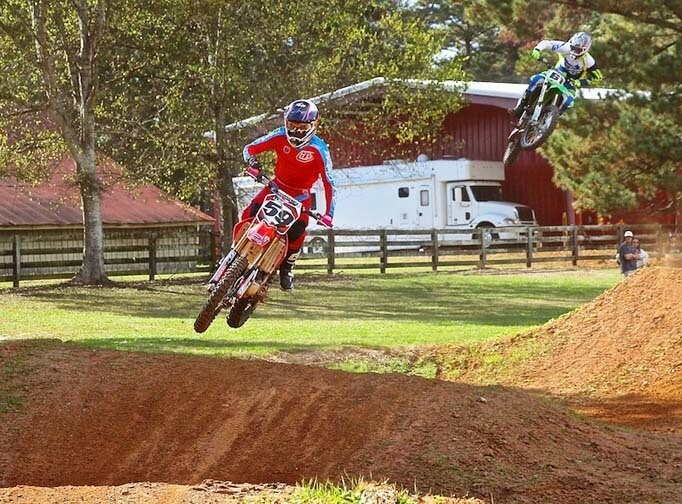 The current owner enjoyed extreme sports and built world class motocross and supercross tracks along with an awesome race shop. 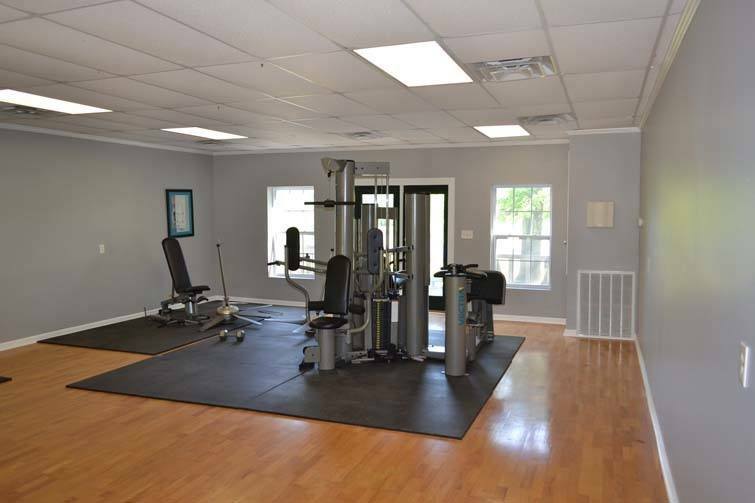 The property is located on Highway 231 in Montgomery County, Alabama and is easily accessible from Montgomery, Birmingham, Dothan, and Atlanta as well as the Florida panhandle. 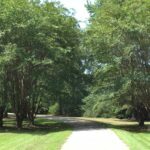 There are approximately 56 wooded acres of merchantable pine and mature hardwoods with meandering trails throughout. 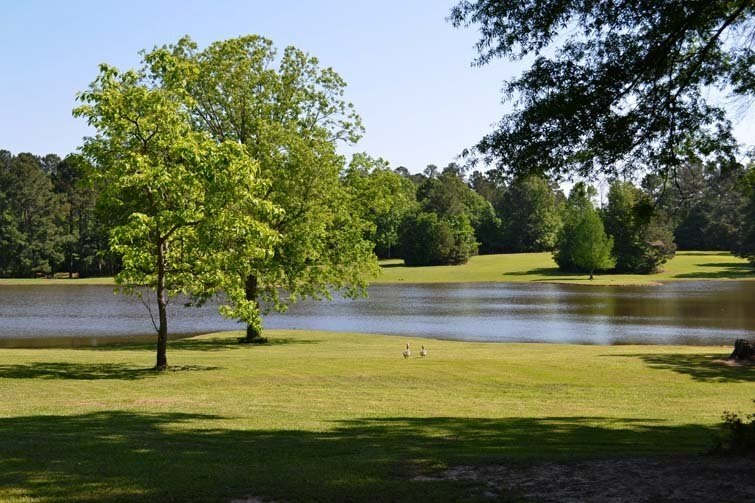 The 9 acre lake is stocked with bass and bream. 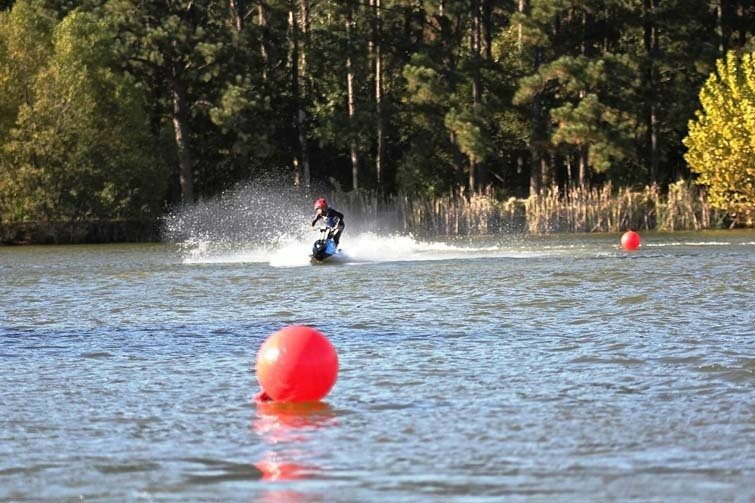 The lake is well conceived with depths up to 18 feet and cleared access around the entire perimeter. There are four separate docks and a small boathouse all with power. 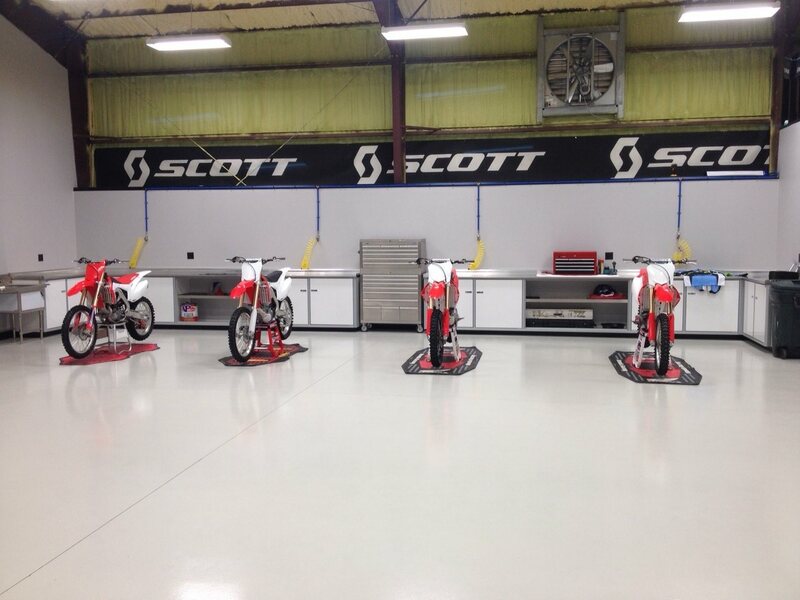 The latest owner built the 80’ X 60’ shop as motocross and supercross race shop. It is a red metal building that mimics the red barn that it replaced. It was built in 2013 and boasts 30ft ceilings, 18ft bay door, 20’ X 60’ covered RV pad with RV hookups for power and septic, high end aluminum shop cabinets, compressed air receptacles, and concrete floors coated in aircraft quality epoxy. 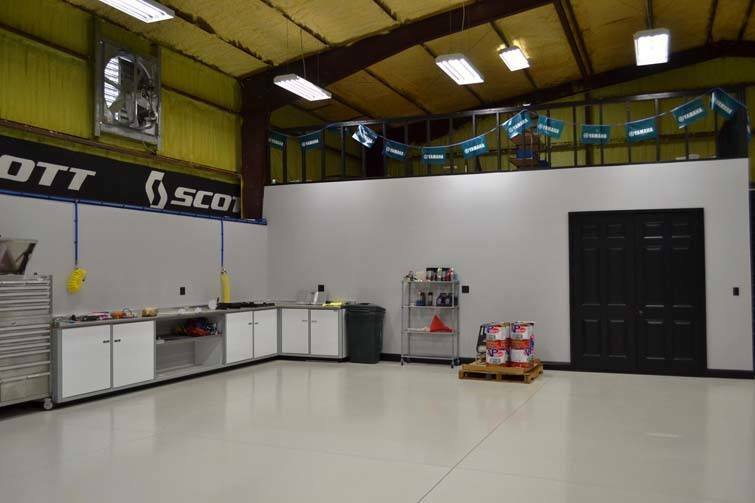 The first floor of the shop includes a showroom area, two offices, large open work area, machine room, dyno room, clean assembly room, and a bathroom. 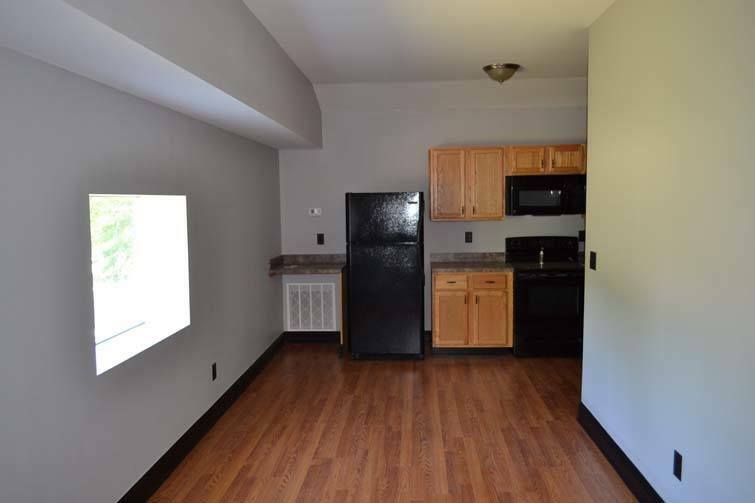 The second floor of the shop has on one side a 2 bedroom apartment with kitchen, bath and living area. The other side of the shop has a large second floor storage area. The shop has central heat and air. 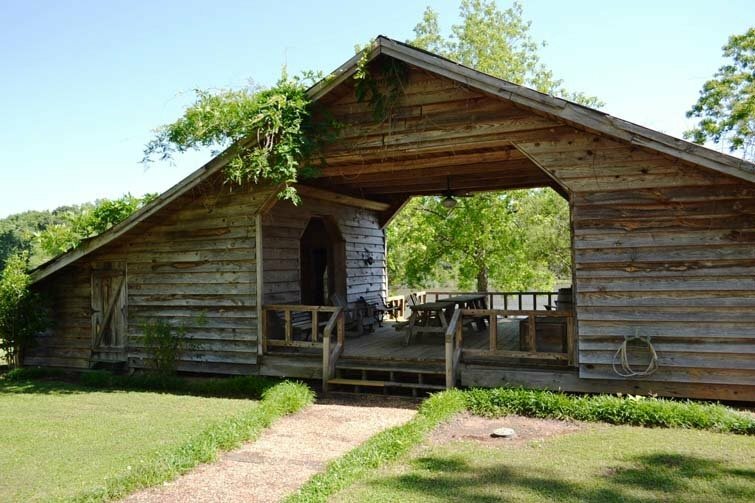 The party barn is an original structure that has been renovated into a shotgun style party barn overlooking lake. The party barn has both gas and charcoal grills with a vent hood, a bathroom, and separate room with a small wet bar and wood burning stove. This is a great place to get together to have parties, meals, watch college football, or just relax and feel the breeze as you watch the kids play. This is another original structure that was used to store grain and fertilizer. 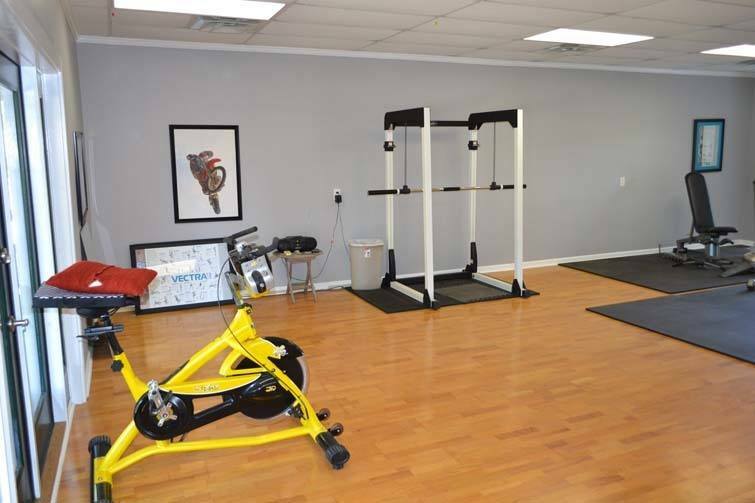 It has been refurbished and reimagined into a large workout facility with a small shop and storage on either side. 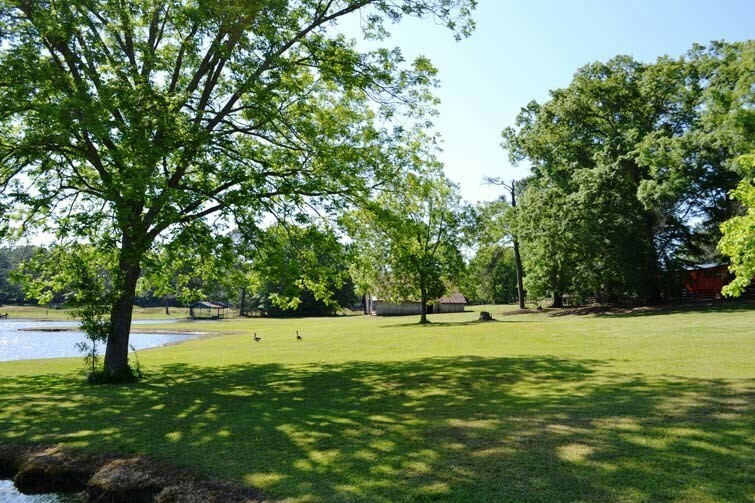 There is a front porch and back deck overlooking the beautiful lake and grounds. It has central heat and air and a commercial standing seam metal roof. This is another original structure that has been renovated into a cabin. Using many original materials and items located on the property, the structure was transformed into gorgeous rustic cabin with a living area, sleeping area, kitchen, bathroom, and both front and rear porches. 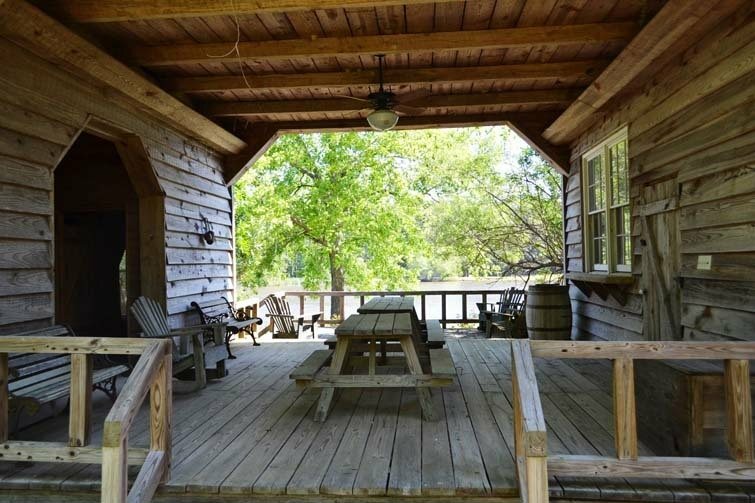 The back porch of this cabin overlooks the party barn and lake. This too is an original structure that has been renovated into a cabin in the same style as the main cabin. 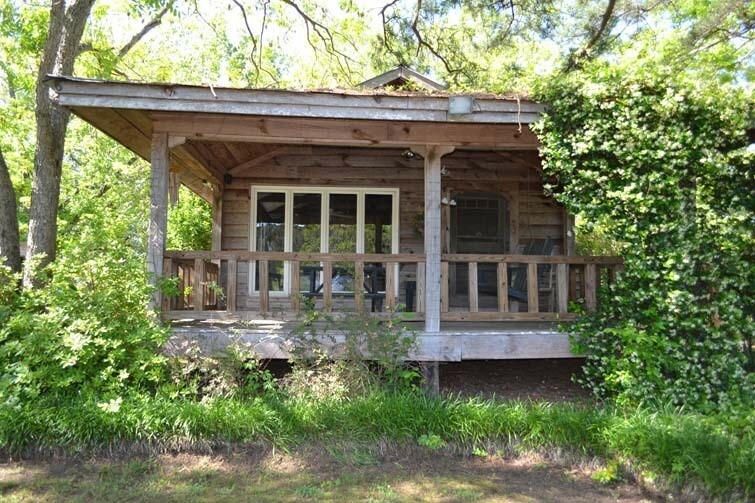 This cabin is unique in that it sits across the lake from the main cabin nestled in the woods overlooking the lake with fantastic views from its front porch. This cabin has a living room, bedroom, bathroom and kitchenette. The farmhouse is where Chappell Gray lived. 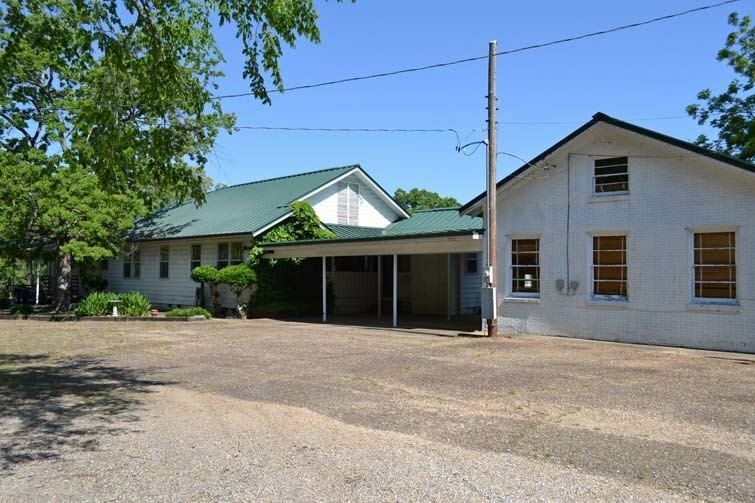 It is an older ranch style home that is believed to have originated as a two bedroom home. It is currently a 4 bedroom 3 bath home with a large wrap around front porch and an attached apartment added in about 1958. 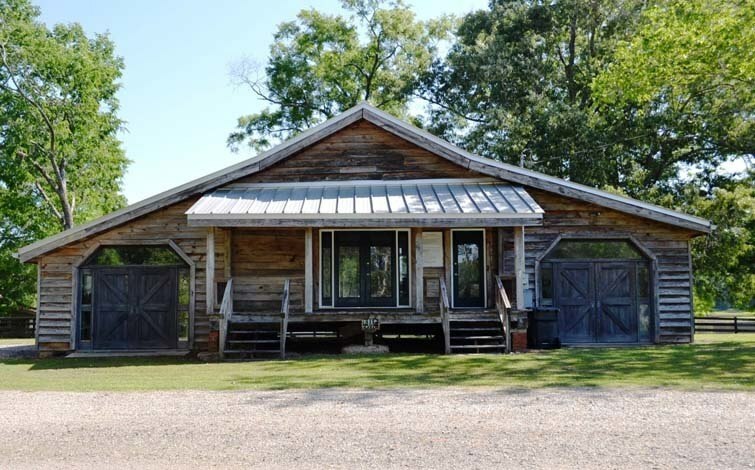 The farmhouse has central heat and air and a commercial standing seam metal roof. The farmhouse is in need of some TLC but could be a great asset to sleep lots of guests. 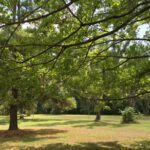 The property has county water, a well, power, and septic. The race tracks are both irrigated with a commercial grade irrigation system. 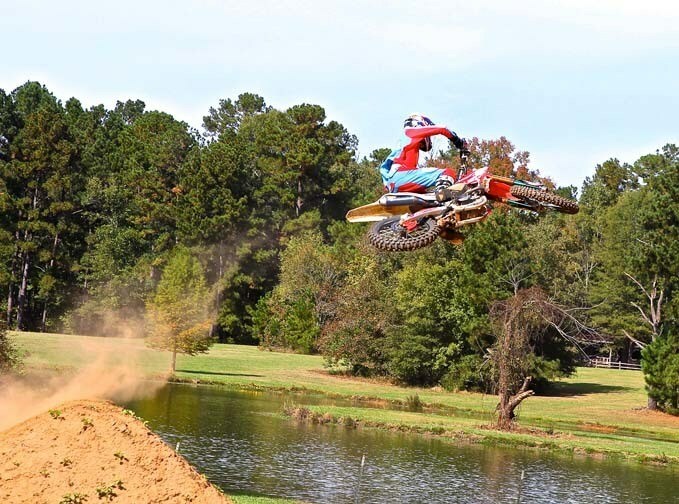 The race tracks were built by Mark Barnett and Glen Bates of Bomber Built, one of the top track builders in the country. This property is one of the most unique properties in the area with endless possibilities. Do yourself a favor and come see for yourself. The Davie Property from John Hall & Co on Vimeo. 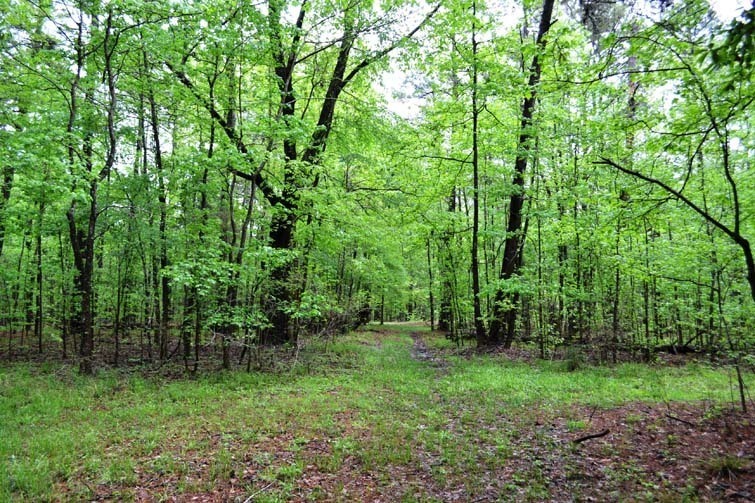 Previous ListingElmore County – 132 +/- acres – PRICE REDUCED!Next ListingTalladega County – 34.64 +/- acres – NEW!